Thanks to Steve Brown Apartments, we have two fun ways in February for you to make a difference for families who have experienced homelessness. 1) February 12 Pizza Day! Steve Brown Apartments has partnered with Ian’s pizza to benefit The Road Home. 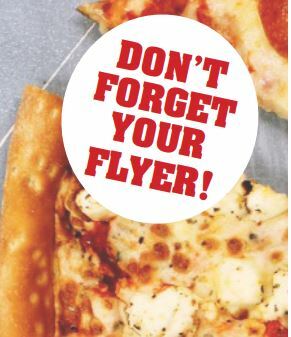 For every customer who shows one of these Ian’s Pizza flyers, Ian’s pizza will donate 25% of their profits. 2) February 15 Diaper Drive! 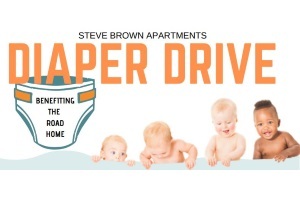 Be sure to stop by Brownridge Terrace Apartments located at 639 N. Pleasant View Road in Middleton with your diaper donations to be given to families with children who are transitioning from homelessness to housing. Steve Brown Apartments has partnered with Q106 who will broadcast live from the event—giving away Country USA tickets and gift cards. Share our Diaper Drive flyer with friends and coworkers. Be sure to follow us on Facebook and share our posts so that others can join in on the fun too.